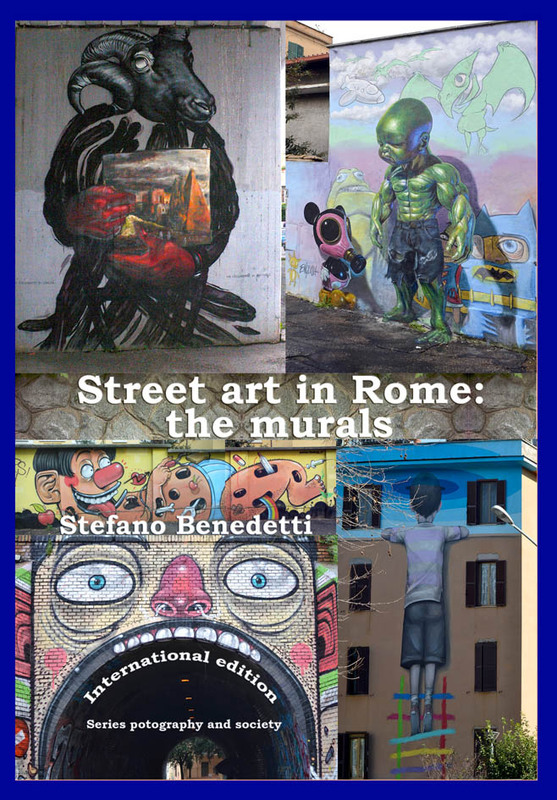 Street art that you can find in Rome is of two types: the murals and works painted on shop shutters.The first book: "Street art in Rome: the murals" collects 260 murals among the most beautiful and meaningful. 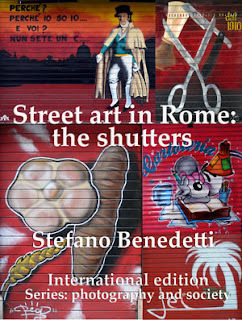 The book is written in three languages:photographEnglishItalianThe book also provides directions to reach areas or neighborhoods where the works, using public transport.The book is printed in large format on quality paper and full color.The second book: "Street art in Rome: the shutters" brings together over 200 works created on the shutters of the shops in Rome. The book is written in Italian and supported by English language where they appear written in Italian. The book is printed in large format on quality paper and full color.The printed book you can request on Createspace that I'll deliver anywhere in the world. Click here.The ebook version you can request it on any Amazon because it is present in America, Italy, Spain, France, Holland, Germany, India, Mexico, Brazil and Japan. Click here to Amazon.com If you are using instead the Kobo ebook is also available on this system. Click here.It is also present in all stores connected to Amazon and Kobo worldwide.